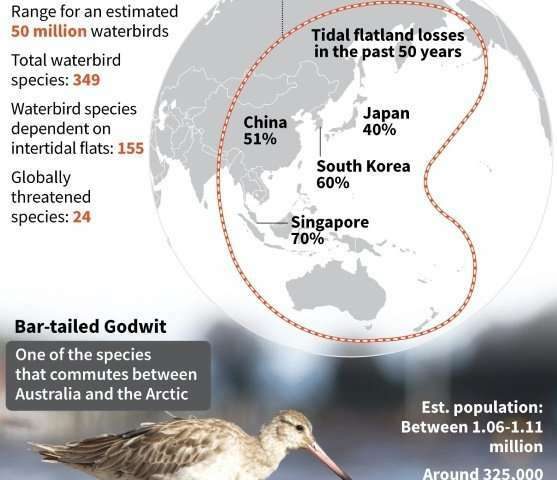 Wetlands, among the world's most valuable and biodiverse ecosystems, are disappearing at alarming speed amid urbanisation and agriculture shifts, conservationists said Thursday, calling for urgent action to halt the erosion. "We are in a crisis," Martha Rojas Urrego, head of the Ramsar Convention on Wetlands, told reporters in Geneva, warning of the potential devastating impact of wetland loss, including on climate change. The convention, adopted in the Iranian city of Ramsar nearly a half-century ago, on Thursday issued its first-ever global report on the state of the world's wetlands. The 88-page report found that around 35 percent of wetlands—which include lakes, rivers, marshes and peatlands, as well as coastal and marine areas like lagoons, mangroves and coral reefs—were lost between 1970 and 2015. Today, wetlands cover more than 12 million square kilometres (4.6 million square miles), the report said, warning that the annual rates of loss had accelerated since 2000. "We are losing wetlands three times faster than forests," Rojas Urrego said, describing the Global Wetland Outlook report as a "red flag". 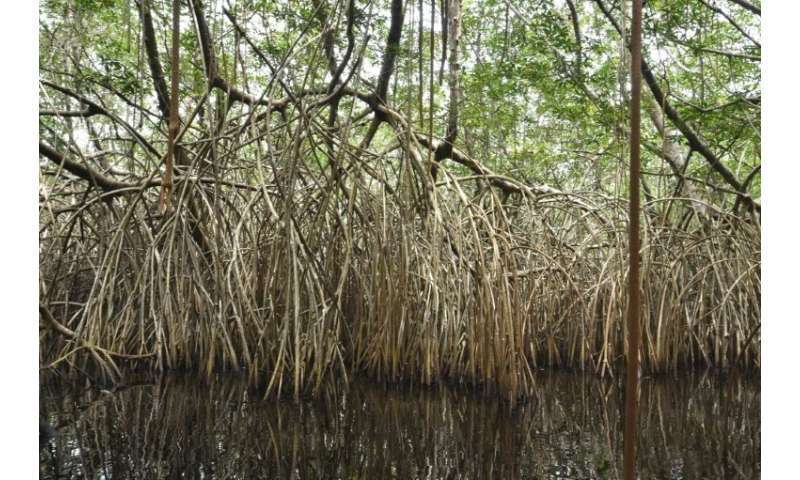 While the world has been increasingly focused on global warming and its impact on oceans and forests, the Ramsar Convention said wetlands remain "dangerously undervalued". Thursday's report, released in advance of a meeting of the parties to the convention in Dubai next month, stressed the importance of wetlands to all life on Earth. Directly or indirectly, they provide almost all of the world's consumption of freshwater and more than 40 percent of all species live and breed in wetlands. Animals and plants who call wetlands home are particularly vulnerable, with a quarter at risk of extinction, the report said. Wetlands also provide a livelihood for more than one billion people, while mitigating floods and protecting coastlines. They are also a vital source of food, raw materials and genetic resources for medicines. The Ramsar Convention stressed that wetlands are essential to reining in climate change, pointing out that peatlands store twice as much carbon as the world's forests, even though they cover just three percent of all land surface. Salt marshes, seagrass beds and mangroves also store large quantities of carbon. So when wetlands disappear, carbon that has been safely locked in the soil is released into the atmosphere. Climate scientists have long warned of the threat of so-called positive feedbacks—a vicious circle of global warming—but their fears have focused primarily on the potent greenhouse gas methane seeping from thawing Arctic permafrost. 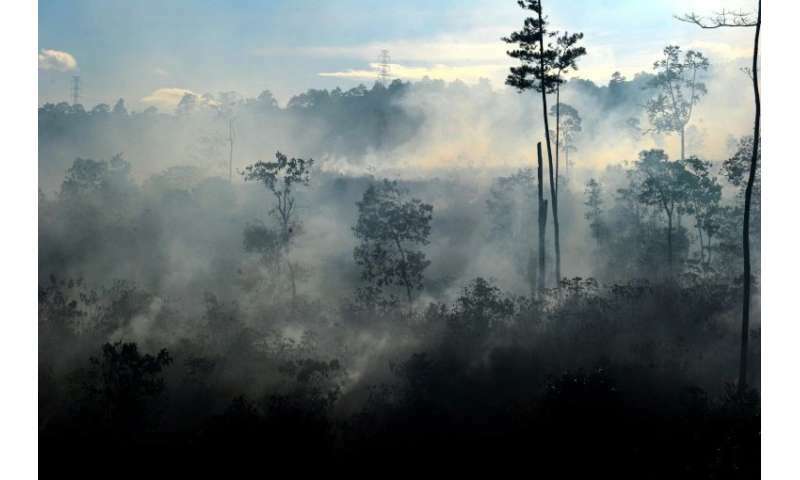 The dark swampy peatlands of the tropics are also a major concern, according to Thursday's report, warning that draining soil for farming and development poses a climate threat. Considering wetlands as wastelands is therefore problematic, Rojas Urrego said, lamenting "the perception of swamps as something we need to drain". The Ramsar Convention has been ratified by most of the world's nations, including major polluters the United States, China and India, and since coming into force in 1975 has designated more than 2,300 sites of international importance. But the report stressed the need to do more to develop effective wetland management, including as part of overall national sustainable development plans. Rojas Urrego pointed out for instance that restoring peatlands should be seen as an effective measure to cut greenhouse gas emissions and to live up to commitments made under the Paris Climate Accords.